However, Gloria and Richard Unis’s son, Maurice, named after Gloria’s father, Maurice T. Schuster, would carry his family’s passion for pianos to a level of national prominence — way beyond the dreams and expectations of his parents and grandparents. Maurice (“Moe”) Unis went on to become the founder and president of Moe’s Pianos and of the Forte Marketing Group. In turn, Maurice’s own sons would grow up mentored and trained in the piano shop to become the fourth generation of Schuster-Unis descendants to carry on the family’s vocation. In the late 1980s, with huge sales...having built Moe’s Pianos into a successful business during the turbulent 1970s, despite the decline of many other piano retailers and American piano manufacturers during this period...Maurice Unis rose to national recognition. As one of Steinway’s leading U.S. dealers, he received an offer from Sherman Clay and Co., headquartered in San Bruno, California, to purchase Moe’s Pianos. With chain stores throughout California, Washington, Arizona, and Texas, Sherman Clay and Co., having closed its previous Portland store, now wanted back in the Portland market. 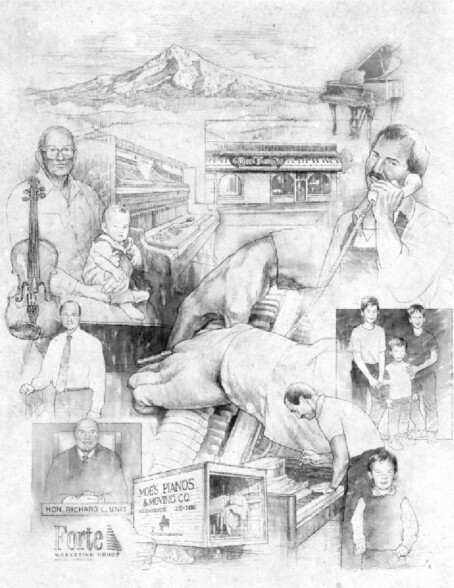 By 2005, Maurice Unis’s “piano campus” had grown...especially with his 2005 acquisition of Cascade Music Co. and an exclusive Yamaha dealership...to include ownership of several adjacent buildings in Portland’s historic Brooklyn Neighborhood, including an old-world Restoration Shop, three Historic Showrooms, a Recital Hall, Teaching Studios, and a restored (circa 1912) Piano House and expanded condominium. 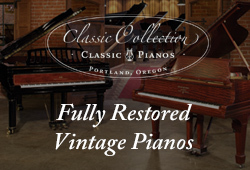 Then in 2008, at the invitation of Yamaha Piano Corporation, Classic Pianos was invited to take over sales for the Seattle area in the Bellevue store that was earlier run by Washburn Piano Company — now out of business. July 1, 2009 Classic Pianos of Washington was appointed as exclusive Seattle / Bellevue representative for Bösendorfer, Schimmel, Yamaha, Vogel, Cable Nelson, May Berlin, Kohler & Campbell, Disklavier, Clavinova, and AvantGrand by Yamaha. 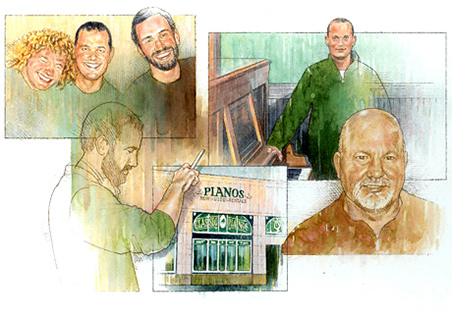 The long road from North Dakota to the Pacific Northwest, and the legacy of four generations in the business of selling and servicing pianos, has been an amazing success story. 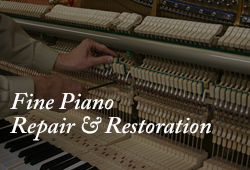 A passion for the art of pianos is what distinguishes Classic Pianos of Washington from other piano retailers. Today’s success of Classic Pianos is occurring during an uncertain business climate that witnessed the closing of at least two major Seattle / Bellevue piano stores in 2009: Washburn Piano Company, and Helmer’s Music. 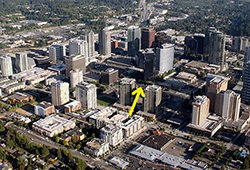 In 2009 Maurice Unis and his 30-year old son, Brian, expanded their Pacific Northwest-based piano business into the Greater Seattle Area by acquiring the Bellevue location that had previously been occupied by Washburn Piano Company before its liquidation and store closing. Despite the economic challenges that have faced small business owners in the United States during the past 75 years — from The Great Depression of 1935; to the recession of the mid-1970s; to the financial meltdown of banks, foreclosure of home mortgages, and record-setting liquidation of piano stores and small businesses coast-to-coast, Maurice Unis and his Classic Pianos family of “Piano People” have not only survived, they have grown and prospered. 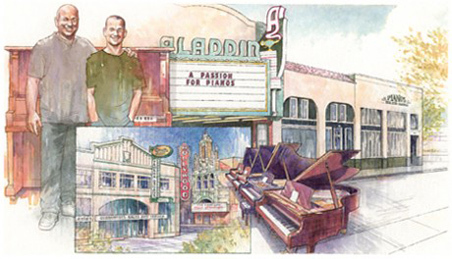 Maurice Unis and his Classic Pianos sales associates have won Top U.S. Dealer awards for Highest Retail Sales, Outstanding Community Service, and Artistic Piano Showroom Display from every piano manufacturer that they represent: Bösendorfer, Schimmel, Yamaha, Disklavier™, Clavinova by Yamaha, plus many others. Classic Pianos receives a lower Wholesale Price on new inventory from piano manufacturers, than most other U.S. piano dealers are able to negotiate, because of the high annual sales volume. These savings can be passed on to customers. 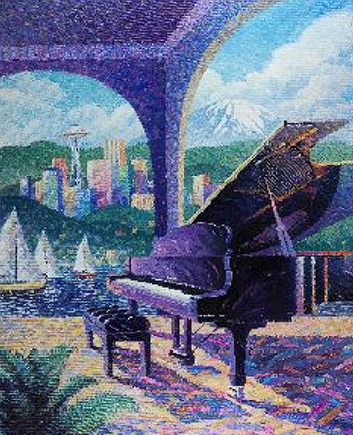 Compared to other piano retail stores with high rent in downtown Seattle and expensive mall locations, Classic Pianos of Washington operates its Seattle area showroom in Bellevue ― up the street from Bellevue Square ― at 10635 NE 8th Street, Bellevue 98004. Over 300 new and used pianos are accessible from off site warehouse and storage facilities owned by Classic Pianos. Whenever U.S. dealers cannot make curtailments on financed (floored) inventory, bankers look to Maurice Unis and his networking Classic Pianos team to liquidate the pianos for them at substantial savings. Seattle area store closing sales have included Helmer’s Music and Washburn Piano Co.
Seasoned and knowledgeable sales associates of Classic Pianos include Certified Piano Technicians, Piano Teachers, Concerts & Events Managers, and Professional Pianists. 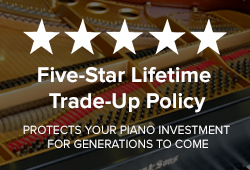 Classic Pianos offers attractive long-term financing and guaranteed lowest prices...from entry-level console pianos to top-tier semi-and-full concert grands...plus a Five-star Lifetime Trade-up Policy that has become the envy of the entire piano industry ― coast-to-coast.